We Buy Houses Bridgeport CT for Cash, So You Can “Sell My House Fast”! We Buy Houses In Bridgeport CT in any Condition, So You Don’t Have To Make and Expensive Repairs and wait months for a Realtor to Sell Your House. If you want to sell your Bridgeport CT house… we’re ready to make you a fair cash offer, which allows us to close much faster than selling through a realtor! In today’s world of real estate there are so many realtors trying to get your attention to sell your Bridgeport house. They make an HUGE commissions off the sale of your house, plus ad on closing costs and other transaction fees! Not to mention the repairs needed when you sell your home. With Fair Offer CT, you pay none of those extra costs! No Repairs are needed either! We buy your Bridgeport CT house “As IS” regardless of the condition. It’s a very simple process and you save time and money on the sale of your house. With our offer, you get to decide the closing date and we can close super fast ! We care about helping people get out of a house that causes them stress. We want to help you move forward to the next chapter in your life. We help Bridgeport CT homeowners who are dealing with difficult situations all the time. Our cash offer gives you options to solve your situation and move on from a burdensome home quickly. Selling through a CT realtor, takes lots of time, meetings and money you have to come up with to sell to make repairs. We have the solution for you to sell your Bridgeport house fast. Instead of letting the house go, salvage your situation and sell your home to avoid dangerous financial consequences. How To Sell My House Fast in Bridgeport CT. Even if a realtor has not been able to sell your house in Bridgeport CT, we can help. You may need to sell quicker than most realtors can find a buyer. We will not ask you to make any expensive repairs to your home. That means no painting, no weeding and no spending money on those things. Our team takes care of all the repairs after the sale is complete. We help property owners just like you, in all kinds of situations. From divorce, foreclosure, the death of a family member, burdensome rental property, and all kinds of other situations. 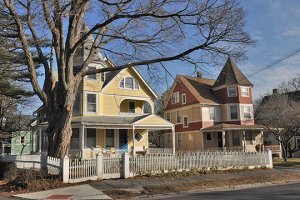 We buy houses in CT… including Bridgeport CT and surrounding areas and pay a fair cash price, fast. Sometimes, those who own property simply have lives that are too busy to take the time to do all of the things that typically need to be done to prepare a house to sell on the market… if that describes you, just let us know about the property you’d like to be rid of and sell your Bridgeport house fast for cash.